ROAM was created in 1999 to provide arts programming to the community using traditional American music as a way to connect students to our past. 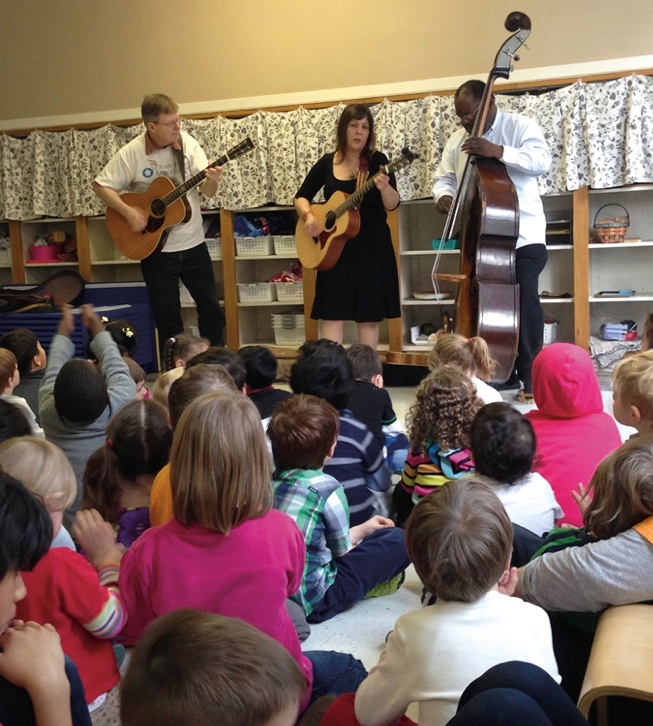 Today ROAM provides arts-integrated programs to diverse communities while promoting and preserving traditional American music -- old-time country, folk, gospel, blues, and early rock -- to enhance educational outcomes and enrich people's lives. ROAM’s programs use traditional American music to help individuals of all ages and backgrounds meet wider goals in education or personal development. Literacy, math, science, self-determination, tolerance, and music enrichment are some of the themes ROAM teaching artists incorporate into music workshops and residencies. ROAM assists community partners to reach those they serve with music that touches the heart of who we are, through song writing, teaching performance skills and assemblies. ROAM educates people students, disabled adults, and seniors—about the roots of American music: gospel, blues, jazz, early rock, and gives them an outlet to experience and perform that music together. ROAM trains educators to incorporate music and song writing into their classrooms to bring academic subjects such as reading, social studies, science, and physical education (healthy living) to life. And always, through public concerts, ROAM brings a sense of joy through the experience of music in everyday life. ROAM provides arts education, musical performances and playing opportunities for audiences and musicians of all ages, means and abilities while supporting the preservation of American music and its roots. Copyright © 2019 Roots of American Music. All Rights Reserved.